Monday was our anniversary. 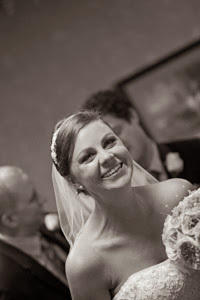 I’ve already addressed the excitement of our wedding day in a previous blog, so I will spare you the details. You’re welcome. 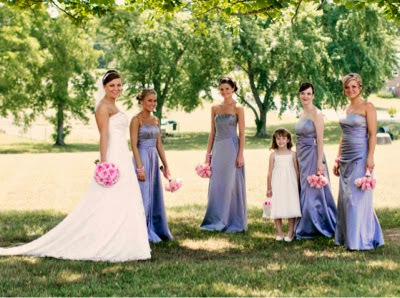 On Wednesday, I had an appointment for a final bridesmaid dress fitting! Woo hoo! Since I had over an hour drive from work – plus traffic- to the store, I decided to dig out my old iPod for some tunes. I had downloaded all of my wedding playlists to my iPod the week of our wedding just in case the CDs I made decided not to work. So in typical Kari reminiscing fashion, I decided to listen to our pre-ceremony playlist. Maybe it was the hormones, but I shed a few happy tears as I listened to the songs we had played on our very special day. One song in particular really tugged at my heart strings. I had heard this song two or three times before we decided to add it to the list, but listening to it now brings a whole new meaning. We have been through A LOT in our two years of marriage. It is so neat and humbling to look back on this song and think… “Yeah. I did that.” or “Yes. Trey did that.” It was almost as if this song was foreshadowing for the trials, sadness, joy, frustration, heartbreak, and happiness we had ahead of us. This song has my husband all over it. He has been my strength, my support, my shoulder to cry on, and my #1 listener. To say I am blessed to have him by my side for the rest of my life is an understatement. We are closer thanks to the journey we have been faced with and our relationship will only become stronger from this point forward. I wish I could have found a great YouTube version of this song, but I didn’t. So if you ever get a chance, look up this song. Happy Anniversary Weekend to Us! Happy 2nd Anniversary weekend to my best friend, the father of my future children (hopefully), and Gavin’s step-dad! Our anniversary is actually on Monday the 26th, but since everyone is celebrating Memorial Day all weekend, I plan to celebrate our anniversary all weekend! I have a feeling our 3rd year of marriage has a lot of surprises and excitement in store for us! I cannot wait to see what God places in our paths this year. To this day, I still enjoy looking back and reading our engagement story. I’m so glad I documented it! I actually read it again last night when I was having trouble sleeping. ha! Looking back on the 3 years we have been together – 2 of which we have been married- we have been through a lot together. Trey was my shoulder to cry on when my cousin, who was more like my big brother, passed away on April 23, 2011 in a car accident. Trey and I had only been dating for maybe 3 weeks, but he still held me as I cried and listened when all I wanted to do was cry and question “Why?”. A few months later, my 26th birthday rolled around. He went above and beyond to make my birthday the best birthday ever. 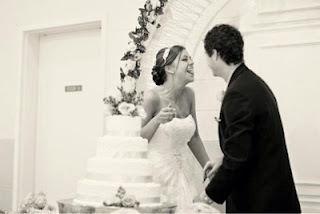 I felt so loved, and I knew I would make him my husband one day. Trey was by my side last year when I lost my great-aunt and Pa all within 4 months of each other. 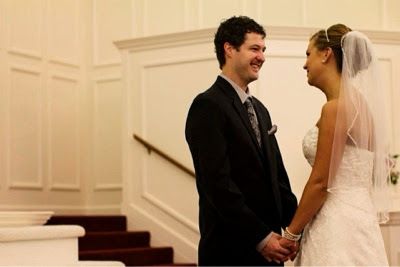 On Saturday, May 26, 2012 I became his wife and our life together truly began. I woke up SO early the morning of our wedding! I was so ready to get to the church and start working on last minute things. 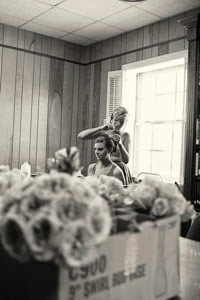 Shortly after I arrived at the church, I was surrounded by my bridesmaids as we got ready together. We had breakfast together. My best friend since 4th grade did my hair. 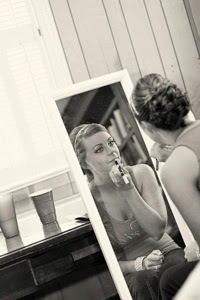 My maid of honor did my make-up. It was just a fun morning. I was so nervous and ready to see Trey though. Our photographer gently nudged us to see each other before the ceremony so we could get most of our pictures out of the way and could have more time at the reception. 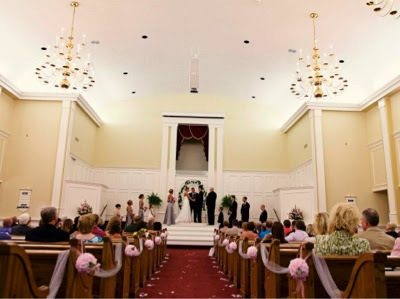 I walked into the auditorium of the church and saw Trey standing at the altar with his back to me. 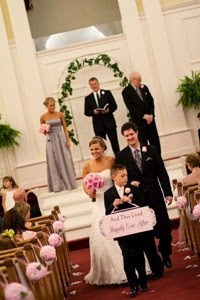 The tears started streaming before I was even halfway down the aisle. I was about to marry this man. 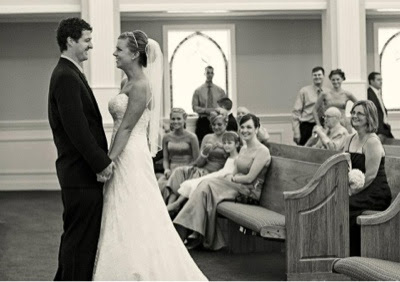 When I made it to the end of the aisle, he turned around, and smiled the biggest smile. It was the same smile he had on his face the night he proposed to me. I had never felt so loved, so happy, so at home before that very moment. I was about to become his wife. 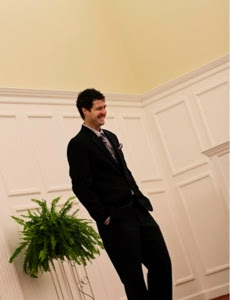 This amazing, loving, Christian man was about to be my husband. I cannot imagine where I would be or who I would be today if God had not placed Trey into my life. I sometimes feel like I am so unworthy of the love and support I receive from Trey. He has made me a better person. He is my best friend and will be the father to my children one day. Man and Wife and my sweet little boy. I cannot talk about our marriage without mentioning our fight to bring our children into this world. When our battle really began in the fall of 2012, we knew what we were up against. We focused on communicating openly with each other. I had to learn that I was handling the situation differently than Trey and that was Ok. I had to learn to lean on him on my weak days. There were so many times he would send me random text messages that would say, “I love you more today than I did yesterday. We will have a baby one day. It just isn’t time yet.” There were a few times I even told him I was sorry I couldn’t make him a daddy. Through tear filled eyes I would say stuff I didn’t mean. I would beg him to just let me give up. He knew deep down inside I didn’t want to give up and I wasn’t finished fighting. He always encouraged me and held me on my weak days. Looking back, I’m thankful for our infertility journey. I’m thankful God showed me how important it is to spend as much time with my children as possible. I’m thankful God finally showed me NO JOB is more important than blowing bubbles in the front yard on a warm, spring day. I know Trey and I will appreciate each and every moment with our children more now that we have fought so hard to bring them into the world. We have a stronger marriage thanks to the challenges we have faced. We are closer to God. We are closer to each other. So here’s to our 2nd anniversary and the beginning of our 3rd year of marriage. I love you, Trey Bell. Thank you for the best 2 years of my life. Do you ever look back on events in your life and in hindsight you are able to see God’s fingerprints all over everything? That’s how I feel about our almost 2 year battle with infertility. Over a year ago, I decided to reach out to a girl, well young lady, who I went to high school with. I had remembered reading about her and her husband’s journey to bring their twins into the world a few years ago. I remembered crying as I read about all of the tests, negative pregnancy tests, and the IVF cycle she went through. I remembered the strength and determination in the words she wrote. I had not really spoken to her in years since she was a few years younger than me. After I had been round and round with a few local OB/Gyns, I decided I should reach out to this girl. I knew I had a battle ahead of me and it was hard for me to talk about what I was going through. It was hard to explain my situation to people who had never sat in front of a doctor who told them, “The chances of you getting pregnant are not in your favor.” I needed someone to understand. God seemed to keep nudging me to contact Ashley Spain. After several hours of debating how to even do this, I finally just sent her an inbox message on Facebook. I told her everything we had been through. I told her I had read her story again through tear filled eyes and it gave me hope. She replied shortly afterwards. She told me how she felt during her journey. It mirrored a lot of what I was experiencing emotionally. The best part was when she told me “If you EVER need anything, please do not hesitate to call me or text me.” We kept in touch as I talked to her about tests and procedures. A few months later I received a letter in the mail from her along with a bracelet. 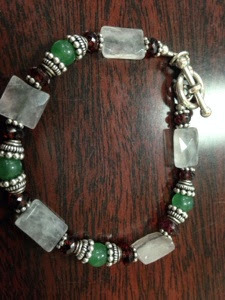 In the letter she explained that the bracelet is a fertility bracelet. She said she wore it through her journey and she wanted me to have it. She told me she knew how alone I probably felt and if I ever needed anything to let her know. I cried the biggest tears. I have worn this bracelet nearly everyday since. When I look at it, I am reminded of the person who gave it to me and her journey. I wore the bracelet the morning of my surgery. I wore it to every single one of my monitoring appointments and all 3 of my IUI procedures. I had it on the afternoon my nurse called me with my beta results. I’m not a believer in “luck”, but I honestly believe this bracelet has served as a visual reminder of what I’m doing and why. I’m doing all of this for my babies. One day I will hold my own precious miracles in my arms as I tell them the story of this bracelet. I hope to one day be able to pay forward what Ashley Spain has done for me. She is such a beautiful person inside and out. We have often talked about “Why us?”. Why were WE chosen to fight infertility? 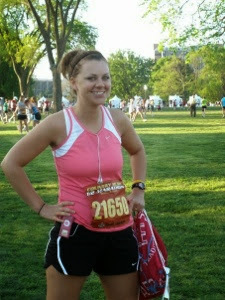 Ashley fought infertility and won. She has a set of absolutely adorable twins to show for it. She used her journey to help me as I’m sure she has helped others. I cannot express how thankful and blessed I have been to have her in my life during this journey. I hope to one day be an encouragement to others just as Ashley has been for me. So if you are reading this Ashley, from the bottom of my heart…. THANK YOU! Thank you for sharing your story with all of Facebook. Thank you for listening. Thank you for encouraging me. Thank you for praying for me. Thank you for helping me realize I can keep pushing forward and every single needle prick is worth it. Thank you. I would not wish infertility upon anyone, but I am thankful God placed you in my life to hold my hand and help me through this. I’ve typed out at least 4 blog posts in the past few days only to delete them. I really do not know what to say right now. We are still waiting. I don’t like having writers’ block, but I do not know what to say at this point. How do I blog about infertility when I am not sure if I am still supposed to sit at the infertility table? What if I really have crawled out of the trenches as we say? This is what I know… I’m still eating chips and salsa. I still take daily naps. My jeans still do not fit. We’re still hoping and praying for our miracles! Yes plural. I’m believing there will be 2 in there! Please continue to pray with us over the next couple of weeks. These next few weeks are crucial and we appreciate any and all prayers on our behalf. Thanks for all of the love and understanding as we wait patiently for our miracles! I know I have not really updated anyone on what’s going on with our journey this week. For that I apologize. I almost feel guilty for building up all of the hype for THIS week– complete with countdown and everything–then I just went silent. It isn’t because I’m trying to shut anyone out. I just know we are not out of the woods yet, and we still need prayers. I will say this though…. Beta #2 (23dpo): My precious nurse didn’t give me an exact number, but she did say it was over 5,000. So it did more than double! I will give a full update in a few weeks! Until then… I’ll be praying! Please pray with us. Woo hoo! 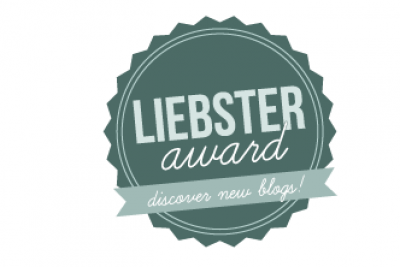 My very first Liebster Award! Thanks to Elena @ Baby Ridley Bump for the nomination. You mean I have to pick one?! My all time favorite movie is The Family Stone. I watch this movie every Christmas Eve and I cry every. single. time. Good movie. Running. I miss it, but I had to give it up per doctor’s orders a few months ago. I hope to pick it back up… gradually… after our baby/babies are born. Umm… Jamaica please?! 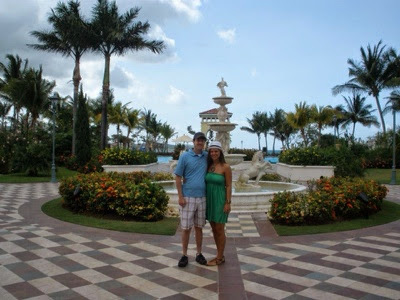 My husband and I went to the Sandals Whitehouse resort for our honeymoon. It was absolutely beautiful, relaxing, and just all around an amazing time. A job close to home. I’ve always had at least a 35min – 1 hour commute to work at every job I’ve had since college. OR a bakery owner. I’ve always thought it looked fun to decorate cakes for a living. Call me crazy. Shoes. Shoes. Shoes. I LOVE shoes! I’ve had an obsession with shoes since I was a little girl. I get it honest though! Both of my grandmothers are also shoe fanatics. It really is a beautiful thing. Luckily, my husband accepts my obsession. Considering I have long, wavy, frizzy hair… I’m going to need a hair tie please. *Scratches head*…. I can’t really think of a “favorite”. Let’s go with Rachel McAdams here too, shall we? Right now I cannot get enough chips and salsa. So for this week, my favorite food is chips and salsa. Last week it was pimento cheese sandwiches. Next week it will probably be something else. The very first blog I ever read was Caroline’s In Due Time. She really lit the fire in me to document my journey and get everything out. So check her out. She’s an inspiration and her ministry will touch your heart. *Cheesey Alert* Coming home and seeing my husband after we’ve both had a long day at work. I would rather claw my eye balls out with a rusty fork than wait any longer! I’m so ready to know if IUI #3 worked. Do not fret though. I’m in NO hurry to pee on a stick. I learned that lesson the hard way with the last cycle. Remember my very faint 2 lined test that led me to believe I was in fact pregnant, but maybe not really pregnant? That was followed by the 3 day grieving process as we refused to accept the fact I had started my period and IUI #2 had officially failed. We will not be moving forward with IUI#4 right away. I cannot miss any more work since we will be extremely short-staffed as the door continues to rotate and people quit on top of everyone taking vacations during the summer months. We also do not have the money set aside for another cycle right now. We aren’t broke. We’ve just spent nearly every penny of my savings on almost 2 years of doctor visits, tests, medication, ultrasounds, surgery, more medicine, and those wonderful $50 a pop ovulation predictor kits (complete waste of money might I add). It really drives me crazy how insurance companies will pay for pregnancy prevention, but the second you start seeking assisted reproductive treatments to correct issues so you CAN get pregnant, you suddenly have to pay for ALL of it out of pocket. It stinks so much. Hopefully it will all be worth it though. I will become a crazy gym rat yet again. I have barely been in the gym since right before my surgery in November. My doctor strongly discouraged me from running, lifting heavy weights, and doing a lot of jumping/hopping, etc for fear of my enlarged, medicated ovaries twisting. He didn’t have to tell me twice. So I took my workouts down about 3 notches until I was just a nudge above geriatric aerobics with light hand weights. If this cycle failed I plan to distract myself with the gym workouts I loved until it is time for the next cycle. Almost 2 years of prayers and pleas will be answered, but I will be hesitant to shout it from the rooftops until I know without a doubt that the baby or babies are healthy and planning to stick around for a while. When we thought we were pregnant in October of 2012, I remember the pain of each “Congratulations! We’re excited for you!” I would then have to explain to the person that we were not pregnant. It was a little annoying. We had confided in so few people, yet there were SO MANY people congratulating us during a very difficult time. They congratulated us for nothing. I also remember the pain of losing my babies in my previous marriage. It is such a raw, sad, consuming feeling. So I’m saying all of that to tell you this….IF this cycle is a success, I will not be broadcasting it immediately. If we choose to share with you that we are expecting, please feel honored we think enough of you and our friendship to share the exciting news with you before we share it with others. Please also respect our wishes to keep it relatively private until we are 100% certain it is safe to tell everyone. That means if we tell YOU, we want YOU to know. Don’t post it on Facebook. Don’t share it with your sister. Don’t tell your mom who would then tell her cousin… who would then tell someone else. Please. Please respect our wishes. I have proven 4 OB/GYN doctors wrong. So if you are struggling with infertility and your doctor has told you, “It appears you will not be able to have any[more] children.” think of me. Think of how hard I fought to prove God is bigger than a diagnosis. I hope with every ounce of my being that God prevails and our miracles come so I do not have the constant replay in my mind of those doctors telling me “you can’t” “It won’t happen” “it just happen like this sometimes”. I thought I should probably drop by my blog and give everyone a brief update. *Yawn*. Well we are 1 week down and 2 more to go. Actually we have 11 days until our pregnancy test, but who’s counting anyway?! Really it will only be less than 7 days before we know. I mean, if my period shows up next week we will know we’re not pregnant. Until then, I will continue obsessively trying to determine if I am having PMS symptoms, side effects of my hCg injection, or early pregnancy symptoms. I will admit, I have not worried/ stressed/ daydreamed as much I did during my previous cycles. I have tried to embrace the last week as an opportunity to fuel my body for baby growing. Occasionally it will slip up on me and I will think, “Oh. Only a few more days until we know.” I then return to deciding what my next meal will be and if I should nap today or not. These decisions have become so very important the past few days. I have eaten pimento cheese sandwiches on a daily basis because I just cannot have enough pimento cheese. Daily naps are so important. If I cannot squeeze a nap in, I am ready to hop in bed by 7:00 each night. I have had a bit of cramping this week but not too much. That can’t really be analyzed as anything exciting though. Since my surgery, I haven’t had a lot of cramping prior to AF’s visit anyway. The next few days and hopefully weeks we will praying unceasingly for our precious babies to hang on tight. If my understanding of conception is correct, the sweet little babes should be fertilized and looking for a cozy place in my womb by now. I pray this is the last cycle we do. I am not sure I’m emotionally or financially prepared to do another cycle. I realize what I want and what I’m prepared for doesn’t matter at this point. It is all in God’s hands. He is in complete control of this. If we are not pregnant this month, we know it just wasn’t meant to be. It won’t be easy. I will probably ugly cry and write a blog filled with my sad, vulnerable feelings…. again. We have to keep fighting though. We have never wanted anything more and we will continue fighting for our precious little miracles. Until next time… I will continue my pimento cheese eating and daily napping.